Spotlight on Māori Nation • Launch of indigiTALKS • A Tribe Called Red to Perform! The 14th annual imagineNATIVE Film + Media Arts Festival returns October 16-20, 2013 in downtown Toronto with some of the most compelling and distinctive Indigenous works from around the globe. imagineNATIVE is proud to announce that Mystery Road, directed by Ivan Sen, will open the film portion of the Festival at the Bloor Hot Docs Cinema on Wednesday, October 16, presented by the Aboriginal Peoples Television Network. Mystery Road tells the story of Indigenous cowboy-detective Jay Swan as he returns to his outback hometown to solve the murder of a teenage girl. The closing night film, presented by Global Toronto, Uvanga, directed by Madeline Piujuq Ivalu & Marie-Hélène Cousineau, will be screened on Sunday, October 20 at the TIFF Bell Lightbox. Uvanga is the story of a young man discovering the land and culture of a father he never knew in Igloolik, Nunavut. Upholding its role as the world’s largest presenter of Indigenous film and media arts, imagineNATIVE uses each annual Festival to shine a spotlight on an Indigenous nation outside of Canada. This year, the Festival will feature works from the Māori nation of New Zealand with groundbreaking feature films, Mana Waka and The Neglected Miracle, two shorts programs, and radio works, to be presented at the TIFF Bell Lightbox. imagineNATIVE will present 101 films including documentaries, feature length movies, and short programs by Indigenous filmmakers including Jeff Barnaby’s debut feature film Rhymes for Young Ghouls; Jennifer Podemski’s indie drama Empire of Dirt, which tells the story of three generations of women unearthing and coping with family drama and past mistakes; comedy shorts program The Pow-Wow Rangers; horror comedy film Fresh Meat about modern-day Māori cannibals; and documentary Brave New River (La Nouvelle Rupert) that examines the effects of hydro electric damming on the James Bay Cree over the past four decades. The Beat, imagineNATIVE’s popular showcase of Indigenous music presented by Slaight Music with support by Red Bull Canada and co-presented by The Music Gallery’s X Avant Festival, will feature 2013 Polaris Prize short-listers A Tribe Called Red (ATCR) at The BLK BOX Theatre. In addition, ATCR will act as mentor to Nelson Tagoona, a teen-aged beatboxing throat singer from Iqaluit. Tagoona will open for ATCR with his innovative form of beatboxing, which incorporates Inuit throat singing. His guttural and ethereal beats create a new style of hip-hop that is experimental and original. On Friday, October 18, imagineNATIVE will present the Uncanny Arts Crawl within the 401 Richmond Building. This free, interactive event features co-presentations and artist talks including the premiere of In The Similkameen, a photo installation by Tyler Hagan presented at Gallery 44; Trade Marks featuring new photographic, video, and audio works by Keesic Douglas, Meryl McMaster, Nigit’stil Norbert and Bear Witness presented at Prefix Institute of Contemporary Art; Lovesick Child focusing on the work of Âhasiw Maskêgon-Iskwêw presented at A Space Gallery; and video installation in Pursuit of Venus by Māori artist Lisa Reihana co-presented by Vtape at the VMAC Gallery. This year, imagineNATIVE will continue its presentation of Radio Works, presented by Bell Media, a unique exhibit of audio art that highlights the role of radio in rural tribes. Community radio remains a fundamental means for communication, education, and language preservation within Indigenous communities. Radio Works will feature six pieces including radio drama Skin Writing, produced by Radio New Zealand, as part of the Māori spotlight. imagineNATIVE invites Festival goers to explore New Media Works which are collections of online experiences including videos games such as Skahiòn:hati: Rise of the Kanien'kehá:ka Legends based on several traditional Mohawk legends, and online art galleries such as Offerings, a collaborative web-based exhibition that reflects on the complex and diverse practices linked to the gesture of offering and gifting. All Radio Works and New Media Works are free and will be exhibited at imagineNATIVE’s Radio + New Media Lounge at the TIFF Bell Lightbox and through imagineNATIVE’s Festival iPhone App. The 2013 Festival will also see the launch of the indigiTALKS Video Essay Project. Taking place at the TIFF Bell Lightbox, indigiTALKS challenges three Ontario-based Indigenous artists to each produce a 10-minute video essay and give a public presentation on a new thesis of artistic discourse in Indigenous-created film and video work. The three selected recipients for 2013 are Wanda Nanibush, Rachelle Dickenson and Ariel Smith. The 14th Annual imagineNATIVE Film + Media Arts Festival kicks off at 2pm on Wednesday, October 16 with a Welcome Gathering at the Native Canadian Centre of Toronto, co-presented by Miziwe Biik Aboriginal Training and Education and TD Bank Group, (16 Spadina Rd.). FREE and open to the public, this reception features traditional Indigenous performances, craft vendors, food, and a welcome address from imagineNATIVE and its international delegates in a casual, family-friendly atmosphere. Visit www.imagineNATIVE.org for the full Festival line-up. Passes and Tickets for the imagineNATIVE Film + Media Arts Festival are available starting October 2 by phone, in person, or online at www.imaginenative.org. Early-Bird Passes are on sale now until October 2. (November 15, 2013 – Toronto) This year imagineNATIVE presented its inaugural indigiTALKS Video Essay Project. Entertaining, daring and investigative, three Ontario-based artists and curators took the stage at a TED Talks-style production during imagineNATIVE 2013 to present and discuss their commissioned essays. The three artists/curators – Wanda Nanibush, Ariel Smith and Rachelle Dickenson - were challenged to initiate new theses about Indigenous-created film and video works, stimulating and contributing to the much-needed discourse surrounding artistic and cultural themes found in Indigenous-made film and video. Trade Marks presents a new generation of Indigenous artists who, through newly commissioned photographic, video and audio works, challenge working assumptions of who they are. The exhibition contributes to the recently revived conversation on what it is to be Indigenous in Canada today. It also considers how these artists have responded to the imposition of Western systems of classification on non-Western arts and how their artistic practices have been informed by methodologies of decolonization. Curated by Betty Julian, artists include Keesic Douglas, Nigit'stil Norbert, Bear Witness and Meryl McMaster. imagineNATIVE and Gallery 44, with the support of the National Film Board of Canada (NFB), are excited to announce the premiere of In the Similkameen, a photo installation by Tyler Hagan. Photographs are gathered as part of the upcoming interactive web documentary Similkameen Crossroads, which is the second project produced under the NFB/imagineNATIVE Digital Media Partnership. The interactive project is available online at nfb.ca/crossroads. Each spring, ReelWorld Film Festival presents more than 65 dramatic features, documentaries, shorts and music videos, all of which reflect Aboriginal, Asian, Black, Latino, Middle Eastern, South Asian or other racially diverse communities. Do you have a film you would like to submit? Send it before December 6, 2014. The Hot Docs Canadian International Documentary Festival is North America's largest documentary festival, conference and market. Each year, the Festival presents a selection of more than 180 cutting-edge documentaries from Canada and around the globe. Through its industry programs, Hot Docs also provides a full range of professional development, market and networking opportunities for documentary professionals. The love for bicycles is still on the rise! Celebrating the worldwide cycling movement, the second edition of VELOBerlin Film Award calls for short films that relate to the theme of “The Love Cycle”. With more than 300 film entries, 20 great nominees and thousands of online voters in the first successful edition held in early 2013, VELOBerlin Film Award 2014 will expand its worldwide scope to include mobile phones and tablets as well as screenings at three bicycle trade shows in Germany. Has someone inspired you to reach beyond what you thought you were capable of? Consider nominating them for a Trailblazer Award or a Visionary Award. Each year ReelWorld Film Festival (ReelWorld) recognizes excellence and outstanding achievements by people who are making a difference within Canada’s entertainment industry. The Trailblazer Award recognizes the accomplishments of racially diverse Canadian entertainment industry professionals whose work has broadened our horizons. The Visionary Award recognizes individuals who have made a significant impact on the Canadian entertainment industry by opening doors to others and creating lasting change. This is the number one skill you need to cultivate in the film industry: Describing your film project in a few words with the most powerful imagery so that actors want to act in it, bankers want to bankroll it, and THEY all want to watch it! Your chance to pitch your idea to a panel of experts - and hone this skill. Put a fiver in the hat and two minutes are yours to convince them to read your screenplay in this intense and emotionally charged evening followed by networking drinks. Deadline: November 26, 2013 or until all funds have been depleted. The Canada Media Fund (CMF) would like to remind stakeholders that the second round of funding for the English Production Incentive Program is now open for eligible applicants. The Program will close on November 26th or until all funds have been depleted, whichever comes first. Only eligible applicants in the following provinces can apply to the English Production Incentive Program: Alberta, New Brunswick, Northwest Territories, Nova Scotia, Nunavut, Prince Edward Island, Saskatchewan, and Yukon. Please note that all CMF applications must be submitted by eTelefilm. Register now to receive a PIN by mail within 5 days if you do not already have one. Super Channel, Canada's only national English pay television network, is now accepting submissions for the Super Channel Development Fund. Super Channel is committed to helping launch Canada's next generation of filmmaking talent and to enabling established filmmakers reach audiences in Canada and around the world. Through the Super Channel Development Fund they offer crucial financing to Canadian feature films, feature-length documentaries and series. Veteran Story Editor, Ken Chubb, will lead this two-day advanced workshop on screenwriting. Participants will learn how to develop their projects for the screen and how to set up an effective script development process. By using examples and showcasing video clips, the instructor will focus on training participants in the craft of storytelling, screenwriting, script analysis, genres and styles, development of story structure, characters, and re-writing skills. Participants will be required to pitch a story they currently have in development. Each pitch will take place in a group environment and will be approximately 3 minutes in length. Charles Street Video (CSV) offers a number of workshops on an on-going basis on the use of their most commonly-rented production gear and post-production software, as well as occasional special sessions on other available technologies, or on particular issues of interest. Workshops are open to both members and non-members. Members pay reduced rates. Student Special: Students attending a Canadian institution pay only 50% of the non-member rate for workshops. Student rate registrations must be done in person, with valid student ID, at CSV during office hours. festival. Led by a curator, it is designed to provide a platform where art and cinema meet. The first edition will be led by curator, filmmaker and historian Federico Windhausen. Humber is a leader and innovator in postsecondary and postgraduate education, and the perfect place to embark on an exciting career in higher learning. At Humber College Institute of Technology & Advanced Learning, they strive for excellence in polytechnic education. They stand behind the people they employ and support them in reaching their personal and professional goals. They work together as a team to provide our students, faculty and staff with an inspiring, innovative and energetic academic environment. Going home was never an option for single mother Lena Mahikan (Cara Gee). But when her 13-year-old, Peeka (Shay Eyre) overdoses in the streets of Toronto, she is forced to return home to her estranged mother and face a life-long legacy of shame and resentment. Empire of Dirt is a story about second chances and summoning the power of family to soothe the pain of cyclical damage. Toronto, 15 October 2013 – A new study examines the current state of Indigenous feature film production in Canada and demonstrates the potential for growth in this burgeoning sector of the nation’s film industry. Indigenous Feature Film Production in Canada: A National and International Perspective focuses primarily on dramatic feature film production during the five-year period to 2012. This report documents the rise of Indigenous cinema worldwide and examines Canada’s public funding landscape, identifying barriers and significant opportunities for Aboriginal content creators in Canada. Commissioned by the imagineNATIVE Film + Media Arts Festival, this report was researched and written by consultants Danis Goulet and Kerry Swanson. Funding was provided by the Ontario Media Development Corporation’s (OMDC) Research Grant Program and Telefilm Canada. Experience the official opening of the 14th annual imagineNATIVE Film + Media Arts Festival with an opening prayer by our cultural advisor Pauline Shirt and enjoy performances, chats, snacks and a crafts market! Everyone welcome! The powerfully evocative Mystery Road sizzles hotter than the Australian sun. Jay – a police detective (played masterfully by Aaron Pedersen) – returns to his rural hometown and begins working on his first ever homicide case (the death of a teenaged girl). Throughout his investigation, cooperation from the locals and, even more puzzling, from his own police force, is proving difficult. As if that wasn’t burden enough, his own daughter won’t speak to him and his estranged wife has yet to quell a demon that, at one time, had also held Jay in its grip. Set against the beautifully stark and lonely Australian Outback, Mystery Road moves with precision and intensity as it drives the audience to the film’s kinetic climax. Compelling writing and subtly nuanced performances breathe life into a world of shadows where it’s hard not to ask the question: ‘Whom can you trust on Mystery Road?’ Featuring performances by Hugo Weaving (The Lord of the Rings, The Matrix) and Ryan Kwanten (True Blood). Filmmaker Steve Judd gets you ready Native-style for movie magic in this hilarious short before each imagineNATIVE screening throughout the Festival! Celebrate the opening of the 14th annual imagineNATIVE with music, dancing and great company – featuring culinary delights by the Food Dudes! All exhibition venues are at various venues at 401 Richmond Street West (except for Ghost Dance and Coyote X) and run throughout the Festival. Visit imagineNATIVE.org/festival/exhibitions/2013 for more information. Ghost Dance: Activism. Resistance. Art. imagineNATIVE’s popular and FREE Industry Workshops and Panels begin tomorrow!!! Presented by The Harold Greenberg Fund. For a complete listing of our Industry Series and panellists, please visit www.imaginenative.org/festival/industry/2013. Support imagineNATIVE Volunteers at the 14th annual imagineNATIVE Film + Media Arts Festival, October 16-20, 2013 in Toronto! New this year, Sponsor a Volunteer at the imagineNATIVE Film + Media Arts Festival! imagineNATIVE’s network of over 100 volunteers travel from all over Ontario and the GTA, lending their time, energy and expertise to the Festival. Without our incredible team of volunteers, the imagineNATIVE Festival and its many screenings, programs, workshops and events would not be possible. The Sponsor a Volunteer initiative aims to subsidize the cost of travel incurred by volunteers, many of whom are youth and emerging professionals with limited funds looking to gain invaluable experience during our 5-day Festival. All donations to this program will directly subsidize services provided to volunteers. Sponsor a volunteer by bringing your TTC tokens and passes to the Guest Services Desk during the Festival, or by providing a cash contribution! For contributions over $25, imagineNATIVE will provide a charitable tax receipt, a listing in the 2014 Festival catalogue as an Individual Donor on Acknowledgments page, and 2 Festival passes. Suite 349, Toronto, ON, M5V 3A8. For all mailed donations, please be sure to include your mailing address, phone number and email address. PLEASE DISTRIBUTE TO FRIENDS AND COLLEAGUES! 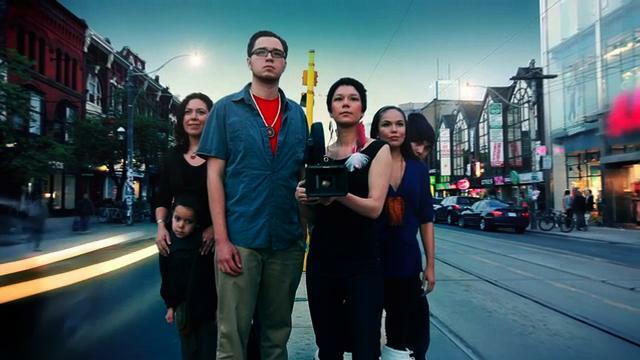 The 14th annual imagineNATIVE Film + Media Arts Festival, running October 16-20, 2013, returns to Toronto this fall to host the world’s largest festival of Indigenous film and media arts. The Festival has announced 101 films, including documentaries, features and shorts, and proudly presents a program dominated by female filmmakers with more than half the screening works at the Festival made by women, a noteworthy representation. Meanwhile, with TIFF premieres of both Jennifer Podemski’s indie drama Empire of Dirt and Jeff Barnaby’s debut feature film, Rhymes for Young Ghouls, the Canadian Indigenous presence at this year’s Toronto International Film Festival did not go unnoticed. With both of these films, and 99 more, screening at this year’s imagineNATIVE Festival, Aboriginal art will idle no more with increased presence at the world’s most foremost festivals. The 14th Annual imagineNATIVE Film + Media Arts Festival kicks off at 2pm on Wednesday, October 16 with a Welcome Gathering at the Native Canadian Centre of Toronto, co-presented by Miziwe Biik Aboriginal Employment and Training and TD Bank Group. FREE and open to the public, this reception features traditional Indigenous prayers and performances, craft vendors, food, and a welcome address from imagineNATIVE and its international delegates in a casual, family-friendly atmosphere. Lovesick Child is Toronto's first retrospective exhibition between A Space Gallery and the imagineNATIVE Film + Media Arts Festival on Aboriginal new media pioneer Âhasiw Maskêgon-Iskwêw. Âhasiw's work with the Canada Council for the Arts and the Banff Centre on a number of equity and new media initiatives such as Drum Beats to Drum Bytes in 1994 ensured Indigenous presence within the new territory of new media and the Internet. He initiated a number of projects in collaboration with local artists, local youth, and street-involved people in North Central Regina, at the vanguard of interdisciplinary work that privileged and combined community stories and Indigenous worldviews & narratives. Part of a substantial body of work that spanned several years, practices, and communities, Lovesick Child—the audio/text project from which the title of this exhibition is derived—synthesizes a number of the different streams of art production that Âhasiw undertook in his lifetime. For this exhibition, this piece functions as a foundation for both a discussion of Âhasiw's work and influence on Canadian media art, as well as the two complementary works in the exhibition newly created by artists Adrian Stimson and Leslie McCue. Curated by Elwood Jimmy, Lovesick Child focuses on some of Âhasiw's key works, as well as on artists like Âhasiw, who locate community, collaboration, interactivity, and Indigenous knowledge and practice at the forefront of their respective practices. The exhibition Trade Marks, featuring the work of Keesic Douglas, Meryl McMaster, Nigit'stil Norbert and Bear Witness from September 19 to November 23, 2013. An opening reception will be held on Thursday, September 19 from 7-10PM at Prefix. The artists and curator will be present. Prefix will also be open on Saturday, October 5 from 7PM until sunrise for Nuit Blanche. This exhibition is curated by Betty Julian and presented by Prefix in association with imagineNATIVE. Prefix gratefully acknowledges the assistance of the Ontario Arts Council and the Toronto Arts Council. Please join them for the Ghost Dance: Activism. Resistance. Art. exhibition at the Ryerson Image Centre beginning September 18th. Be sure to visit the gallery to see the exhibition before it closes on December 15, 2013. Ghost Dance: Activism. Resistance. Art. presents photographs from the Black Star Collection with contemporary works by Aboriginal artists to examine the role of the artist as activist, as chronicler and as provocateur in the ongoing struggle for Indigenous rights and self-empowerment. The San Francisco International Film Festival (SFIFF), recognized throughout the world for its eclectic, intelligent and adventurous programs and events, is now accepting submissions to SFIFF57 (April 24–May 8, 2014). Works in all genres, forms and lengths are considered. Celebrating creativity, innovation, collaboration and inspiration, SFIFF combines a range of marquee premieres, compelling documentaries, new digital media work, live music performances, star-studded gala events and an international competition with nearly $40,000 in cash awards in various categories. The Ann Arbor Film Festival is the longest-running independent and experimental film festival in North America, established in 1963. Internationally recognized as a premiere forum for independent filmmakers and artists, each year's festival engages audiences with remarkable cinematic experiences. The six-day festival presents 40 programs with more than 180 films from over 20 countries of all lengths and genres, including experimental, animation, documentary, fiction, and performance-based works. The Urban Action Showcase is a 3 day Independent Action Film Festival premiering minority filmmakers specifically in the Action Film Genre. With the initiative of social responsibility and ethnic diversity, the Urban Action Showcase advocates minority actors, filmmakers, producers, and industry professionals of the Action film genre through workshops, panel discussion, screenings and events. The Urban Action Showcase Indie Action Film Festival welcomes film and television Animation and Live Action Short and Feature narratives in various aspects of the Action genre. The Shaw Media-Hot Docs Completion Fund is a grant program that will provide financial support of up to $100,000 (limited to a maximum of 20% of a project's budget) for production companies to complete specific projects. The Completion Fund is open to producers who have attracted demonstrated market interest in their documentaries. The Completion Fund is expected to support on average six to nine projects per year. The National Screen Institute - Canada (NSI) is now accepting applications for its NSI Aboriginal Documentary course. The course is now open to applicants from across Canada, provides up to four Aboriginal director and producer teams with training, mentorship and up to $16,000 in cash towards the production of a short documentary. Completed short documentaries from the course will air nationally on APTN and will also stream on the APTN website. ideaBOOST is currently accepting applications for the 3rd cohort. Run by the CFC Media Lab, ideaBOOST is a business accelerator with a difference, a bootcamp for technology platforms and interactive applications for the entertainment industry. Companies selected to participate receive the tools, training, and mentorship to help bring their products to market and improve their chances of success with audiences, investors, and partners. Finalists receive $15,000 towards development costs and $15,000 of in-kind services. Career coaches with first-hand experience working in the film and television industry - who also cater specifically to the needs of entertainment industry professionals - are virtually unheard of. This is what makes Jessica Sitomer a very unique and valuable asset in the North American market. Having been the in-house coach for the International Cinematographers Guild for over half a decade, Jessica will use her experience and expertise to help you lay out a proven plan to kick-start your career in this industry. Applications are now being accepted for the December 2013 session of the Soi Fischer Thematic Residency Program on Toronto Islands. The Soi Fischer Thematic Residency Program on Toronto Islands offers artists the opportunity to work independently with the mentorship of a visiting professional artist, curator or critic working in international contemporary art. Thematic residencies explore various models including studio work, formal lectures, group discussion, peer collaboration and outdoor retreats. This direction allows individual residents to find common ground amongst each other's disparate practices and establish new connections through communal dialogue. The National Ballet of Canada, one of the world's top international ballet companies, enthusiastically embraces new initiatives in digital media to increase audience engagement and ticket sales. The company is looking for a highly motivated self starter to join the communications team to help expand and improve its web, video and electronic communications. The position of Web and Digital Media Coordinator requires a creative team-player with strong web and video skills who is able to work in a fast-paced, deadline-driven environment. Akimbo is seeking a part time Social Media Manager to work closely and collaboratively with the Akimbo team. The candidate will implement Akimbo's social media strategy by overseeing day-to-day operations and management of active social media channels. The ideal candidate is a creative, innovative, detail-oriented individual with a passion for social media. The job will require working a set number of hours per day in the Akimbo office managing their social media activities and client services. Occasional extra hours will be required for special projects. Be part of the team at one of Canada's Top 100 Employers. If you value your independence, enjoy meeting new people and are ready to inspire and inform their National audience, then this is the position you've been waiting for. As a Temporary Reporter Correspondent, you will be the face their viewers recognize nationally, craft high quality stories, have great time management skills as your stories will be fed across two time zones, demonstrate your strong communication skills while interacting with the public and remote colleagues, and more. Reporting to the studio manager, and senior designers, the Administrative / Design Assistant will work in both a design and administrative role to maintain office efficiency and organization and ensure smooth operations of the studio. Moss and Lam thanks all those who apply, however only those applicants selected for an interview will be contacted. Don't miss the launch of the NEW and only national charity dedicated to helping empower Indigenous youth, including youth with disabilities/special needs, to reach their human resource and career potential. The fundraiser will consist of a stand-up comic evening of laughter with comedians: Scott Thompson (Kids in the Hall), Candy Palmater, and Don Kelly, Indigenous cuisine stations that will delight your senses, and high level networking with Indigenous and corporate leaders. Presented by The School of the Arts with the Indigenous Studies Program, the Gender Studies and Feminist Research Program, and the McMaster Museum of Art. Kent Monkman is an artist of Cree ancestry who works with a variety of mediums, including painting, film/video, performance, and installation. He explores colonialist histories and gender, queer, and two-spirit sexualities. He has had solo exhibitions at numerous Canadian museums including the Glenbow Museum in Calgary, AB, the Montreal Museum of Fine Art, the Museum of Contemporary Canadian Art in Toronto, the Winnipeg Art Gallery, and the Art Gallery of Hamilton. Festival Delegate Passholders coming to imagineNATIVE with a roster of films or TV Series needing distribution and/or a project in development, you don’t want to miss the opportunity to take part in our annual MICRO MEETINGS, an application-based meeting service where you apply to discuss your current and past filmsor TV Series for distribution or discuss your new projects for funding to one of our friendly and welcoming Buyers, Funders and Distributors and Festival Programmers! When you complete your application, our imagineNATIVE staff will match your meeting requests as best possible with the Buyer that would have the best chance to start a new business partnership with you. We then schedule you to meet your scheduled Buyer for a 10-minute, one-on-one meeting, at the Micro Meeting event, scheduled on Friday October 18, between 4:00 - 5:30pm at the TIFF Bell Lightbox. All delegates must review in detail the Micro Meeting Leaders PDF before applying to ensure your work matches Leaders company mandates. Missed the application deadline or unsure of who to meet? A few meeting slots will be left open in each Buyer’s schedule and will be available for sign-up on-site starting October 17th at 10am in the TIFF Bell Lightbox, Third Floor Learning Studios A&B. Please submit your application by Friday, October 4, 2013 via email to micromeetings@imagineNATIVE.org. The Images Festival is the largest festival in North America for experimental and independent moving image culture, showcasing the innovative edge of international contemporary media art both on and off the screen. Images is now accepting entries for the ON SCREEN section of the festival, which includes both feature length and short film and video that screens in a cinema. Artist fees (screening fees) paid for all works presented. Forms, guidelines and new FAQ now available! Online forms are accessible on their website. Mayworks Festival – Toronto is pleased to invite submissions for its 29th festival season. Applications are accepted from groups and individuals in a range of disciplines, including: visual art, music/ poetry, film, video, interdisciplinary, and theatre. Mayworks Festival is a multi-disciplinary arts festival that celebrates cultural production working class culture. They seek to showcase high calibre art by artists at all stages in their careers that are politically and socially engaged with labour realities. Mayworks Festival is especially committed to providing a platform to support the underrepresented labor of Indigenous peoples, people with disabilities, migrants, women, queer-identified people, people of color, and youth. Short filmmakers have the chance to win up to $4,000 in cash through the National Screen Institute's (NSI) Online Short Film Festival. The NSI Online Short Film Festival is a year-round celebration of Canadian short film on the NSI website which showcases two or three new films each week. The shorter the film, the better - entries must not exceed 30 minutes. Drama, comedy, animation, short documentaries, sci-fi, horror, music videos and experimental films are all eligible genres and must be Canadian. There is no submission fee. Films must be available online for viewing by the selection committee. DVD submissions will NOT be accepted. Film submission to Hot Docs 2014 are now open. Please note that deadlines and fees have changed from previous years. They strongly encourage applicants to review the new information before submitting a film. All deadlines are postmark deadlines. Hot Docs accepts Canadian and international documentaries of all lengths and subject matter. All films must have been completed after January 2013. Each year Struts Gallery & Faucet Media Arts Centre hosts a series of artist residencies in their Open Studio Program. Each artist-in-residence spends five weeks in the gallery continuing their practice in a public venue. The artists present talks on their work, studio visits and other public presentations as well as workshops related to the work they are engaged in. The artist is paid an artist fee and provided with a per diem and accommodations in Sackville; travel costs are covered by Struts & Faucet. There is also a budget for advertising, workshop supplies and documentation of the residency. The Canada Council and the Independent Media Arts Alliance (IMAA) are once again coming together to honour the recipients of the Governor General's Awards in Visual and Media Arts. They joined forces for the first time last year and created unique video portraits of renowned artists. They are looking to pair directors with the 2014 winners to create artistic two-minute video portraits. The commissioned directors will be acknowledged in every way possible as creators of these videos. The video portraits will be shown on Council's web site, You Tube channel and the video wall in the public space of the Council's new building. The Council reserves the right to use the video portraits for promotional purposes. The commissioned directors retain copyright and ownership of their works, and may use them as they wish to promote their own work. The Ontario Media Development Corporation (OMDC) has launched a call for applications for the OMDC Film Fund. This fund is intended to increase the level of Indigenous feature film production in Ontario. This program provides support to Ontario producers for feature film projects in the final stages of development and production financing. The OMDC Film Fund supports a range of projects with both cultural and industrial benefits. Please Note: The Qualified Producer Applicant on the application form must be the primary producer and contact for all communication and dealings with OMDC. An information session will be held on October 3rd. To register to attend the OMDC Film Fund information session, please complete their online registration form by NOON, October 2, 2013. Unregistered guests will only be accepted if space permits. Trinity Square Video (TSV) in partnership with thom vernon +associates presents a two-day workshop where 5 emerging directors will be partnered with 5 emerging screenwriters. If you're a director, you'll work with a professional DOP, Director and a writer who has original pages ready to shoot. Together you will work through a scene from a table read through to a completed shoot. 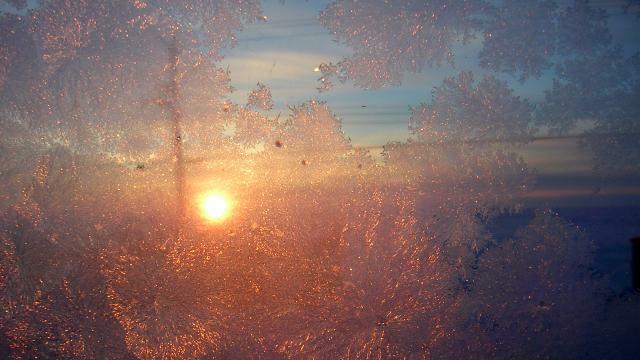 It is another way for you to learn, quite effectively, what exactly needs to go on the script page and what does not. Be on set with professional actors and a crew to get a hands-on knowledge of shooting on set. All of the lighting, production equipment and soundstage will be provided and all involved will leave with a copy of raw footage of their scene. During this one-day hands-on workshop, the instructor will work with the participant to demystify the profession and the business side of being a professional actor. Topics to be covered will include the following: Career Development Strategies, Discussion of the Marketplace: Winnipeg, Larger Markets: Toronto, Vancouver, and Los Angeles, and The Critical Questions of Being a Professional. Participants must register in advance of the course. No drop-ins. Registration is on a first served basis - unless otherwise specified. Production companies must nominate a qualified candidate from within their company to enroll in the course. Candidates must be ready to make the leap into unscripted series production. This is an advanced training course which focuses on the specific skills required to produce a lifestyle or reality series. The course includes a week-long training session followed by an eight-week practical apprenticeship on an existing series which has been green-lit by one of their Program Partners: Shaw Media, Bell Media and Corus. This course will empower the candidate to confidently take on the challenges and responsibilities of producing a lifestyle or reality series. The Walter Phillips Gallery Indigenous Preparatorial Works Study programs enable participants to engage in hand-on opportunities working alongside the gallery's curator and preparator. Direct mentorship and support is provided throughout the program to develop the participant's skills in preventative conservation, art handling, installation techniques, and environmental conditions (including appropriate humidity, temperature, and lighting levels). The work study participant will also have the opportunity to develop expertise in crate building, art packing, and framing of artwork, and will assist in the storage, packing, and unpacking of artworks relating to the Walter Phillips Galley exhibitions and permanent collection. Have fun, gain experience and see Indigenous films from around the world! For FREE! All Volunteers earn a Festival Pass that allows you into any public event at the festival for FREE! Guest Relations; Theatre Ushers; Workshop Attendants; Airport Greeters; Party Helpers; Pre-festival Office Help. To sign up visit imagineNATIVE website and click on "Volunteer." The Development Coordinator will play a key role in raising funds from foundations, consulates, individual donors, and the public sector for Hot Docs. In addition, this position will play a key role in fulfilling partner stewardship and recognition year-round for Hot Docs. Conduct research on prospective donors, foundations, and public funders. Work with development department to identify new funding opportunities. Work with the Associate Director, Development to prepare foundation and public sector proposals/reports as assigned. Manage and maintain relationships with local consulates and embassies to secure filmmaker travel support. Manage stewardship and fulfillment obligations for all public sector partners, foundations and donors. Work closely with development team in identifying donor prospects, and implementing strategies to increase annual donations, and more. The Toronto Outdoor Art Exhibition (TOAE), a charitable not-for-profit organization, located at 401 Richmond Street West, is seeking to hire an Executive Director (ED). TOAE is seeking a highly motivated candidate who understands best practices in arts programming, non-profit management, event management, marketing and fundraising. The successful candidate will love the arts, have vision and creativity, embrace and push for innovation, and help maintain a strong organization and create a compelling and relevant exhibition under the guidance of the Board. Reporting to the Executive Director and working in collaboration with the Communications Director, the Director of Development will expand the financial resources of the Biennale de Montréal. He or she is responsible for developing the organization's unique approach to fundraising and its related plan, and for implementing various activities that will increase the Biennale de Montréal's self-generated and earned income streams. The Director of Development will generate revenue through gifts, donations and sponsorships. He or she will plan and successfully execute diverse fundraising projects and devise effective ways to secure financial support from our various stakeholders. The Director of Development will recruit a circle of committed donors, forge new business relationships and upgrade current partnerships. Launching Pleasure Dome’s fall season, our annual New Toronto Works (NTW) screening showcases the city’s freshest film and video works. This year’s show marks the twentieth anniversary of NTW and will feature a selection of digital films that propose questions of voice in relationship to space. Ranging through aesthetic choices that consider the body as a vehicle for narration, these works plot gender, geography, optics, utterance and trace. The various architectures of production generate strategies of spacing that expand and collapse structures of address, moving between the visible speaking subject, the disrupted or disembodied voice and bodies that signal their silence. imagineNATIVE and CBC are seeking one young Aboriginal journalist (19-35yrs) for an exciting and unique career-building opportunity with CBC.ca/arts (www.cbc.ca/news/arts). This week-long internship will run from October 16th through Oct 20th, 2013 and will be flexible regarding work and school schedules. The selected intern will assume the role of the Festival Correspondent, learning how to file copy, photos and videos with CBC.ca/arts while covering special events and screenings at the 14th Annual imagineNATIVE Film + Media Arts Festival (October 16th- 20th) in Toronto. As Festival Correspondent, the intern will receive an All-Access pass to the Festival, be connected to imagineNATIVE’s Publicist to arrange interviews with artists, and will work directly with experienced individuals from CBC.ca/arts who will offer guidance in posting daily reports to the website. A per diem will be provided during the five-day festival by imagineNATIVE. Applicants must have a demonstrated interest and basic experience in journalism, writing, or media arts. Note: If you are enrolled in school or employed, this internship will accommodate your schedule. Send your complete contact information, including email, mailing address, and phone number. Please include your Aboriginal affiliation. Applications must be received by no later than 5:00pm EDT, Friday September 20th, 2013. Late applications will not be considered. Do you have a great idea for a short dramatic or documentary short? New this year, imagineNATIVE’s pitch competition brings short stories to the big screen with prizes to produce them to perfection. Enter our competitions to pitch your idea to an esteemed jury of shorts producers, programmers and development leaders who will provide valuable feedback, advice, and make the final winning decision! You will also have a chance to win imagineNATIVE’s Short Documentary or Short Drama Pitch prizes (presented by APTN and CBC) to help your idea become a reality, including new prizes of a TIFF 2014 Conference Pass and a free "Documentary Essentials" workshop package by The Doc Story Studio. FOUR short documentary & FOUR short drama pitch contestants (or teams) will be selected by imagineNATIVE’s Programming Committee to receive a free, six-hour intensive “How to Pitch” workshop with Producer, Digital and Social Media Strategist, Deborah Day. Accompanied by Industry guest speakers, this workshop will provide invaluable insight and instruction on the pitching process and advice on improving individual pitch ideas before pitch day. The intensive workshop will take place on Wednesday, October 16 at the TIFF Bell Lightbox, Reitman Square, 350 King St. W. in downtown Toronto. Each five-minute pitch will then be presented to the panel of short film programmers, aficionados and filmmakers during the festival’s “Pitch Competition for Dramatic Works” and “Documentary Pitch Competition” on Friday, October 18 in a live, staged event at the Festival’s venue, the TIFF Bell Lightbox. Do you have a great idea for a short dramatic or documentary short? New this year, imagineNATIVE’s pitch competition brings short stories to the big screen with prizes to produce them to perfection. Enter our competitions to pitch your idea to an esteemed jury of shorts producers, programmers and development leaders who will provide valuable feedback, advice, and make the final winning decision! You will also have a chance to win imagineNATIVE’s Short Documentary or Short Drama Pitch prizes to help your idea become a reality. FOUR short documentary & FOUR short drama pitch contestants (or teams) will be selected by imagineNATIVE’s Programming Committee to receive a free, six-hour intensive “How to Pitch” workshop with Producer, Digital and Social Media Strategist, Deborah Day. Accompanied with Industry guest speakers, this workshop will provide invaluable insight and instruction on the pitching process and advice on improving individual pitch ideas before pitch day. The intensive workshop will take place on Wednesday, October 16 at the TIFF Bell Lightbox, Reitman Square, 350 King St. W. in downtown Toronto. The 14th annual imagineNATIVE Film + Media Arts Festival is approaching quickly! Early-bird rates for Festival passes and tickets to the highly-anticipated The Beat featuring A Tribe Called Red will be available starting August 15. imagineNATIVE is also excited to continue to offer discounted travel packages to the Festival which include hotel, a Festival pass, local food and vendor discounts among other fun perks to ensure you can be here for it all! The Beat, presented by Slaight Music, is one of imagineNATIVE’s most popular annual events. The Beat is both a showcase of Indigenous music that includes live performances and a professional development mentorship for emerging musicians. This year imagineNATIVE co-presents with The Music Gallery to present 2013 Polaris Prize nominee A Tribe Called Red (ATCR) at The Black Box Theatre at The Great Hall. In addition, ATCR will act as mentor to Nelson Tagoona, a young beat-boxing throat singer from Iqaluit. imagineNATIVE is now accepting TV series submissions produced and led by Indigenous owned production companies to the Festival’s on-site Mediatheque. The imagineNATIVE Mediatheque is an on-site video library of all imagineNATIVE’s submitted and opted-in film and video submissions for the current Festival. Available only to Festival delegates (i.e. non-publicly accessible), it is a resource for the Festival’s attending national and international broadcasters, distributors and programmers to consider film/video works for their programming and acquisition needs. These delegates have viewing priority privileges. This is an incredible opportunity for eligible Indigenous companies to reach new global audiences with their series, garner sales and increase the longevity of their work and practice. imagineNATIVE Short Film Program Soars Again with Air Canada! Those of you travelling on Air Canada to any of its destinations worldwide (or to imagineNATIVE this October!) will have the exclusive opportunity to view a selection of imagineNATIVE’s films on Air Canada’s enRoute In-Flight Entertainment system. Now celebrating its third year, and with new presenting sponsor TD Bank Group, the “imagineNATIVE presents: Canadian Indigenous Shorts” programme will be available on Air Canada's in-flight entertainment system from September 1 through October 31, 2013 on all Air Canada flights worldwide, featuring work by Canadian Indigenous filmmakers. The ItsFILM.com International Short Film Competition was created to help locate fresh new voices in filmmaking and give them the tools and promotional opportunities they deserve. The overall winner will receive a trip to the 2014 Sundance Film Festival, where his/her short film will be featured at an industry networking event in the heart of the fest. All winners will receive film gear, film production software, and well-deserved industry exposure. The Japan Media Arts Festival announced the call for entries for the 17th Japan Media Arts Festival starting in 2014 from July 11, 2013. Works completed or released between September 21, 2012 and September 12, 2013 are eligible for entry in the four divisions - Art, Entertainment, Animation and Manga. Entries are sought from professional, amateur, independent, and commercial creators from across the globe. For each division, one Grand Prize, four Excellence Awards, and three New Face Awards will be awarded on the basis of artistic quality and creativity. Entries can be submitted by uploading data online. New York International Children's Film Festival (NYICFF) is North America's largest festival of film for children and teens and stands at the forefront of a movement to define a new, more provocative and compelling film for kids. Submissions are now open for NYICFF 2014! Each year the festival scours the globe to present a highly selective slate of the best animation, live action, documentary and experimental film from around the world. Monitor 10 is dedicated to the presentation of experimental short films and videos by/and/or about South Asians from Canada and around the world. They invite independent and innovative short films and videos that explore the aesthetic and form of the moving image and its relation to narrative. Monitor 10 encourages new, experimental and risk-taking work that challenges the viewer's active engagement. Selected works will be screened in April 2014 in Toronto, Canada. Monitor 10 will be programmed by independent curator and artist Shai Heredia. Submissions for the 2014 Women's International Film Festival (WIFF) in Miami, Florida are now being accepted. If you would like to submit your film or apply to be a 2014 speaker, please contact them at info@womensfilmfest.com. Films made by or about women are eligible. WIFF will accept film in which women have a primary role in the production, direction or in the writing. However, because the mission of WIFF is to address issues which affect women nationally and internationally films which focus on women's issues such as gender equality, the plight of women in America or around the world for example, but which were primarily produced by men, will also be accepted. Every year the Green Screen Award is presented by the sponsorship of Astral's Harold Greenberg Fund. This award honours the most innovative and proactive behind-the-scenes green practices in the film and television industry. The award? $5,000 with the runner-up receiving $1,000. This award will be given in the name of the television series or film, which highlights the positive role that the film and television industry is playing in creating solutions for a healthier planet. The Friends of the Pan Am Path is looking for arts and cultural partners and ideas for the Pan Am Path. The Pan Am Path will create a multi-use pathway from Brampton to the Rouge River. Check out the video and route map of PanAmPath.org. They aim to engage communities along the route with new arts programming and create an active-living legacy for the TORONTO 2015 Pan Am/Parapan Am Games. All ideas and artists are welcome but they are particularly interested in receiving submissions and ideas from artists with ties to South and Central America, the Carribean as well as organizations based in communities near the path. The Spark Box Studio Residency Program provides artists, working in a range of mediums, a place to live and work, without distractions. These residencies are about taking your concepts and dreams and making them into a reality. Its about your work, your desires and getting your art career on track. They are excited to tell you they are accepting applications for their Emerging Artist Residency Award. If you are an artist between the age of 20 - 35 years, living/working in Ontario, you can apply to potentially receive one free week at Spark Box Studio. Crowdfunding leader Indiegogo and Raindance Toronto come together for their first Pitch Video Contest, and your chance to win $2,000 to fund your film. Want $2,000 deposited to your next film, TV or Web series Crowdfunding Campaign? Prepare your Pitch video, upload it and RSVP to the party September 9th, where John Trigonis and Joe Rosenberg will award $2,000 gogobucks to your winning pitch to help fund your film. The National Screen Institute's (NSI) Aboriginal Documentary is a development launch pad for producer/director teams looking to produce a short documentary. Teams are paired with an industry mentor to help with the final development and production of a 10 minute documentary. The course starts with a two-week bootcamp in Winnipeg. Travel and accommodation is paid for by NSI. Teams receive a cash award of up to $16,000 to put towards production of their documentary and attend the Hot Docs Canadian International Film Festival in Toronto. So You Think You Can Pitch welcomes all film genres, be it dramatic, documentary, musical or experimental, as long as an Asian individual is featured in a key creative role, either in front or behind the camera. Interested applicants can apply under two categories - Emerging Filmmaker or Established Filmmaker. The two winning filmmaking teams will walk away with amazing prize packages including professional production services to help turn their short film into reality. The pitch winners will also have the opportunity to screen their work at the 2014 Toronto Reel Asian International Film Festival with full festival accreditation. The Liaison of Independent Filmmakers of Toronto (LIFT) provides training in all aspects of filmmaking and media arts. Offering 150 workshops each year from camera theory to digital animation, LIFT is a one-of-a-kind training facility that offers practical knowledge to media artists at any stage of their career. These workshops include, Voice-Over Techniques (August 24), Transmedia 101 (August 26), Introduction to 35mm Camera Operation (September 11). Visual Arts Studio Work Study programs provide practical real-world experiences in a structured learning environment, which are designed designed to expand and enhance participants’ technical skills and to increase knowledge and creativity in the areas of printmaking, papermaking, ceramics, sculpture, and photography. Programs offer a dynamic combination of learning opportunities which include attending workshops, demonstrations, and presentations; contact with professional staff, visiting artists, and faculty; and collaboration with facilitators in Visual Arts and other Banff Centre arts programs. Charles Street Video (CSV) offers a number of workshops on an on-going basis on the use of their most commonly-rented production gear and post-production software, as well as occasional special sessions on other available technologies, or on particular issues of interest. CSV will schedule extra sessions as demand warrants. Students attending a Canadian institution pay only 50% of the non-member rate for workshops. Student rate registrations must be done in person, with a valid student ID, at CSV during office hours. The Canadian Media Guild has an exciting opportunity for the right candidate to make a difference in both the union and media worlds. They are seeking an energetic and self-motivated Staff Representative for our Western regional office, which serves members from Manitoba to British Columbia and the North. The position is currently located in Vancouver but the location is negotiable. Under the direction of the Senior Staff Representative, the successful applicant will work as part of a team, providing support for local executives, advice to individual members, assist with organizing opportunities and deal with management on behalf of the Guild within the region. The Studio Museum in Harlem is looking for a highly motivated, energetic museum education professional, Education Assistant, to be responsible for facilitating the administrative day-to-day functions for The Studio Museum in Harlem's Education department, including Group Tours, Volunteer and Artist-in-Residence programs. Also, The Studio Museum is seeking a creative and dynamic fundraiser to serve as its Manager for Individual Giving. The candidate will oversee the Individual Giving program, including program support groups, major gifts, planned giving, and stewardship programs. The ideal candidate will have experience in developing and implementing a broad-based strategy for identifying, cultivating, and soliciting gifts from individuals. S/he will also have demonstrated experience soliciting special and major gifts. In its fourth year, Raindance@Tiff industry party is one of the hottest tickets during Toronto International Film Festival for independent filmmakers serious about getting their films made. On Monday Sept. 9th at 7:00 pm - 12:00 midnight, the Raindance@Tiff industry party kicks off a spectacular year of supporting and connecting Independant filmmakers at Blackline Tattoo & Body Art Studio 577 King St. West (at Portland) on trendy King West strip. For its fourth year, Raindance gathers independent screenwriters, producers, directors, web content creators and actors and connects them with International Film Industry leaders at their TIFF party. Industry Suppliers Post City Sound will host the 'Sound Lounge' on this evening, and production giant William F. White brings its 'Viral Van' for show and tell at this red carpet industry event. Visiting party hosts this year are Joe Rosenberg, Los Angeles-based UCLA Faculty member and former CAA Talent Agent, and John Trigonis from Indiegogo New York. Some special features this year for the Raindance@Tiff party include the Winner Announcement of the Raindance Toronto & Indiegogo 'Pitch Video' Contest With a $2,000 Crowd-Funding Campaign Prize, Red carpet interviews courtesy of Vistek will be uploaded to Youtube. DJ music by Dr Spin; Cocktails provided by Jagermeister, catering provided by Chef Annielicious. Join IsumaTV this year at the 11th annual imagineNATIVE Film + Media Arts Festival for an exciting workshop discussing IsumaTV’s new position as an eligible broadcaster. As a trigger financier with traditional production funds, IsumaTV will change the face of Indigenous filmmaking in Canada. Demonstration of Indianness #31 is a short experimental film based on old home movies that the artist's grandfather shot in the 50's. The film is as much a portrait of a struggle and a declaration of identity, as it is a questioning into the history of documentation and anthropology. 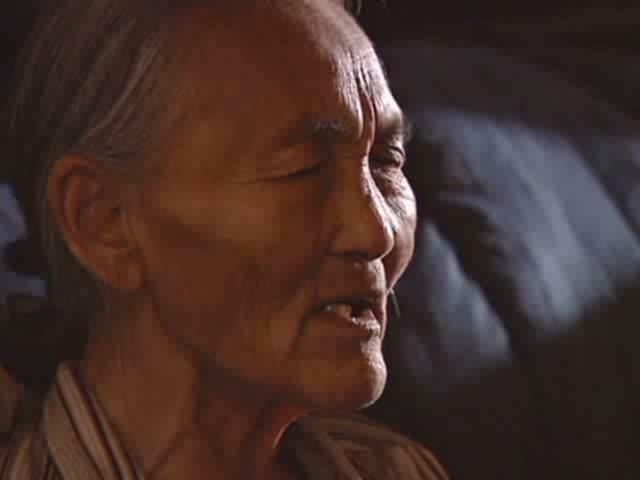 During the 1950's famine in the Canadian Arctic, Kikkik, an Inuk woman killed a man in self defense and them found herself in the position of having to leave 2 of her 5 children on the tundra. She was tried for murder and criminal negligence and subsequently acquitted. Written by Elisapee Karetak, one of Kikkik's daughters.